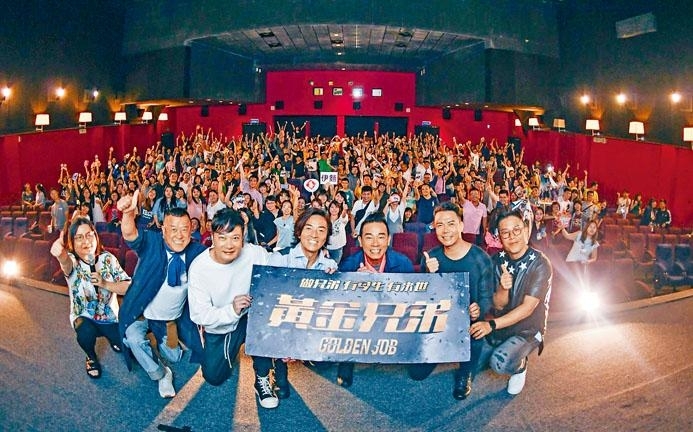 The film GOLDEN JOB (WONG GUM HING DAI) two days ago held its Taipei premiere. Producer Eric Tsang Chi Wai, executive producer Chiu Li-Kwan, director Chin Ka Lok, actors Dior Cheng Yi Kin, Jordan Chan Siu Chun, Michael Tse Tin Wa and Jerry Lamb Hiu Fung attended. The heavyweight line up drove the fans wild. The rain suddenly stopped when they appeared on the stage and successfully completed the premiere. This was the final day of promotion in Taipei for GOLDEN JOB. Aside from the premiere, they also visited many cinemas to thank viewers and pose for photos. Aside from the car chase, explosions and action stunts, the 20 year old unwavering "brotherhood" moved the audience as well as many viewers shed tears after watching the film. 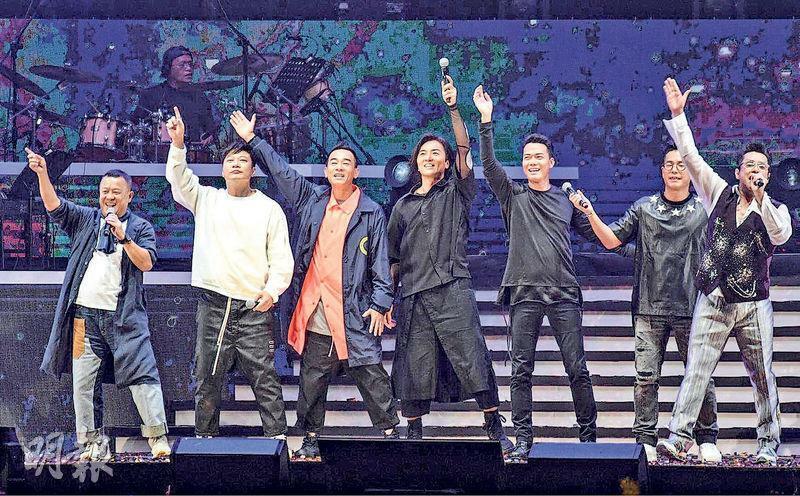 Meanwhile, Alan Tam Wing Lun performed in Taipei. 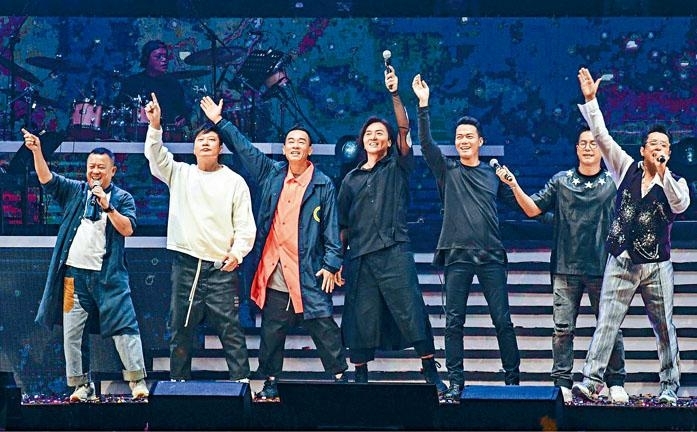 During the encore segment, when Principal Tam performed FRIEND, the GOLDEN JOB cast Tsang Chi Wai, Cheng Yi Kin, Chan Siu Chun, Chin Ka Lok, Tse Tin Wa and Lamb Hiu Fung appeared and sang to symbolize their years of brotherhood. Principal Tam excitedly said, "They are very loyal, they said that they would come and they did. Everyone is having fun together, this is truly perfect. I am also happy. This is friendship and brotherhood!"